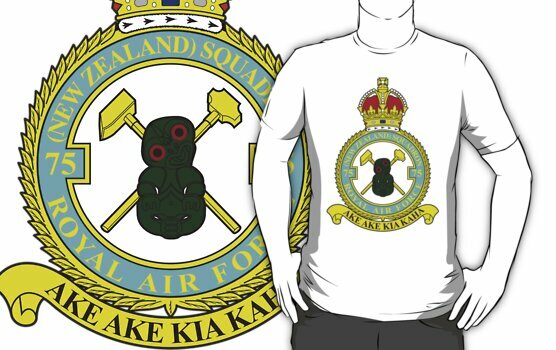 If you have an interest in 75(NZ) Squadron RAF or if you have any extra information about any of the individuals or topics mentioned in this blog, I would love to hear from you. Go to DropBox.com and register – this is just an email address and a password. Once you have registered, download the application and install it on you machine – I am a Mac user, but I would imagine it’s essentially the same for a PC – after installation of the app, you should see it appear in your desktop finder window as a new folder called DropBox. Copy the files you wish to transfer and place them in a new folder – named appropriately. Drop this folder onto the DropBox Folder – if you then click on the DropBox Folder and then on your folder, you will see the transfer files have small blue ‘loading’ icons on them – when the files have uploaded, these blue icons will change to green ticks. When this has happened, right mouse click on the folder (with the files in them) and pick Share Folder. I will then receive a notification and can then download the files……………. I have found your site very interesting and my uncle aged in his late 80’s brother- Jack Edmond Lovewell (found in the roll of honour) died whilst mine laying in 1943. I just wondered if there was anything further you could tell me about him that I could pass onto my uncle, that you may have discovered during the research of your fathers’ service with the squadron? Many thanks for contacting be about your uncle’s late brother. Unfortunately I don’t have anything to hand regarding Jack or his crew, but if you mail me at info@75nzsquadron.com, I think I can send you something that will let you find the raids he flew on and the boys he flew with. Hello, I wonder if you have any more photos of crew ect? My father in law was Maurice wiggins and my mother in law is still alive and would love any photos of maurice with his crew. We have several pics simler to yours which maurice took with his old camera which you may find interesting. I look forward to hearing from you, as I think a few more people will that I know. Hello Simon. My father was Herbert Wigglns a Flight Sergeant navigator born in 1913 who served in my75 RAF. Great to hear from you – I would love to hear about anything you know of Herbert – Interstingly, having looked through the Nominal Roll, he has no apparent connection with a Pilot and therefore crew – I will look through the Operational Record Books at the weekend to find him nad try to give you some information about the boys he flew with – do you know approximately when he was with the Squadron? Hi my father served with 1653HCU he was Alfred Broyden Birch. Just wondered if you have any info on him. He was at Chedburgh and Stradishall. many thanks for reaching out – unfortunately I don’t have access to CU records – you might try contacting the UK National Archive at kew. Do you know which squadron he went to after training? 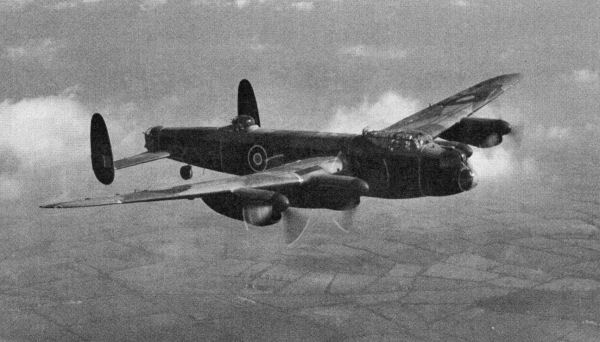 – If its not 75(NZ), there might still be the chance that someone reading this blog might know something about the squadron he flew with….. If you let me know what you have, who knows, something might come to light…. First of all many thanks for setting up this site. No 69 is my Father, Thomas (Tom) Benson, although as he came from Limerick in Southern Ireland he was often called “Paddy”. He was in F/L Lukins crew. I haven’t see the two photographs : ‘A’ Flight and the Squadron picture you use as a header since 1962 at my Grandparents house. Sometime in the early 1970’s they were lost in a house fire. I had planned to go to Hendon this year and trawl through their collection of photographs to see if I could get copies. Were the ones on your site from your Farther or Hendon. If they were from Hendon do you have any reference numbers I could use to order copies. It was to come across this photo of ND756, you have on your site. My father Aubrey Charles Kirk, was Rear Gunner, he was on the flight when it was shot down over France. Dad had a photo of the plane, but different to this photo, good to have another one of it. My uncles was James Samuel Battersby F/O Pilot /2nd pilot 75[ NZ ] squadron. My father was John Bryan Battersby – he flew in the Pacific. FABULOUS to have all this info. 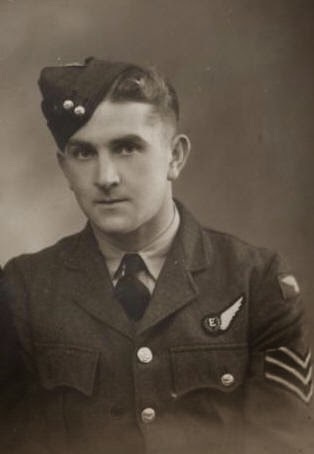 My father flew with 75 Squadron as a sergeant pilot in 1945 His name is Roy George Tawa Iles svc number 4212581 I was wondering if you could help me track down other members of his crew that he flew with from February to July/August 1945? This site has been invaluable for me. I will be at James Allison McConnell’s grave in September in Valencienne. If anybody has relatives buried there, especially if they flew with my great-uncle, J.A.Mc., I would be pleased to take photographs for them. Was Andrew the son of Jacob Randrup Moller Hawera?? I was excited to find your site yesterday. My uncle Dud was John Dudley Perfrement DFC. The family has always been proud of him. I have learned more about his WW II time from your site than I knew before, I did not know he had flown so many missions in such a short time. Please contact me if you would like any photos or any more info about him. You have a very interesting site my great uncle Vincent John O’Loughlin was a rear gunner in the below aircraft and as far as we knew it was shot down but did not know details. So this has helped us fill in some blanks. Hi Michael – Geoff flew as Rear and Mid Upper Gunner with Harry Yates crew. David, Harry’s son contacted me a while ago and I am sure he would love to hear from you.